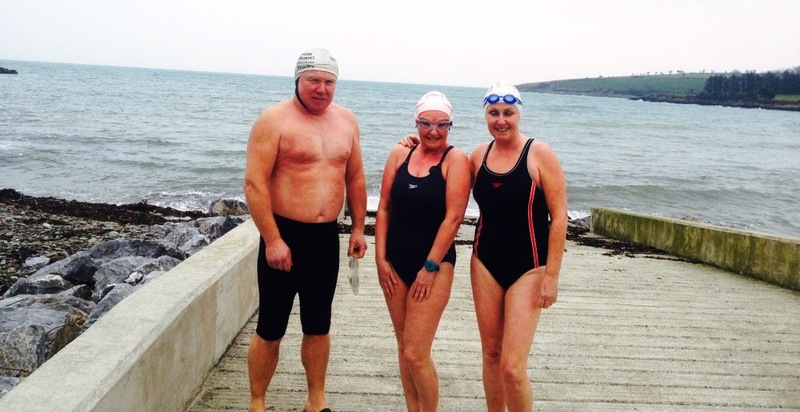 As has been noted on this site regularly, Denis Condon has been a diligent swimmer all Winter. An example to us all, he has missed very few days in the sea. 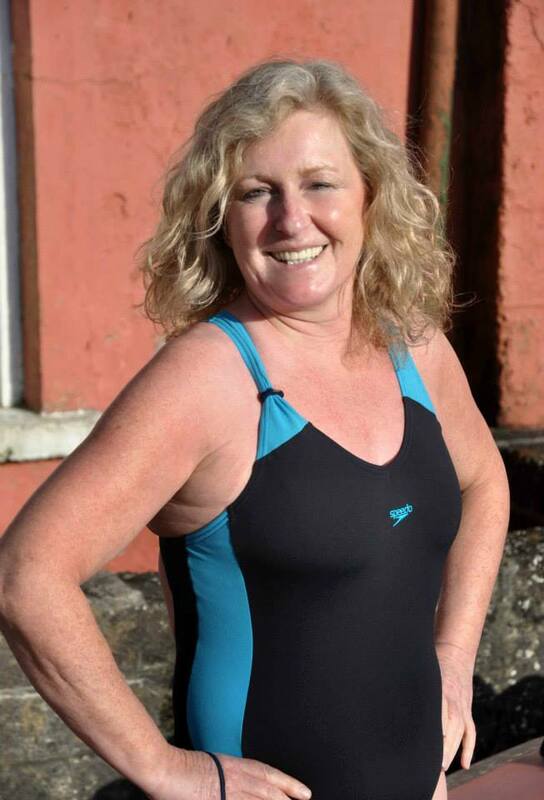 Last week he was in Fountainstown and decided to ditch the wetsuit. It was a momentous occasion, witnessed by Anne & Carmen and recorded for posterity by a passing delivery man (fair dues, Bernard). Denis in Skin! With supporter & camera team. The non-humorous part is that Anne says the slipway in Fountainstown is like a cheese grater if you meet it the wrong way! Ouch. The good news was she was fully recovered for the first Monday night last night and duly posed for Siobhan! Anne – survived the grater and made it for the first Monday night of 2014.